From rocking an Indiana Jones costume as a kid to ordering a martini shaken, not stirred, we’ve all fantasized about being our favorite action stars. The dream usually only lasts a moment, though, considering the physical feats these protagonists pull off. But there’s hope for wannabe movie heroes yet. Many of the most iconic action sequences ever filmed were shot in equally unforgettable destinations around the world, some of which actually offer visitors the chance to recreate their favorite on-screen moments. To experience thrills you thought were only movie magic, put these totally doable film stunts at the top of your bucket list. 1. Be like Bond and do the GoldenEye Bungee Jump. 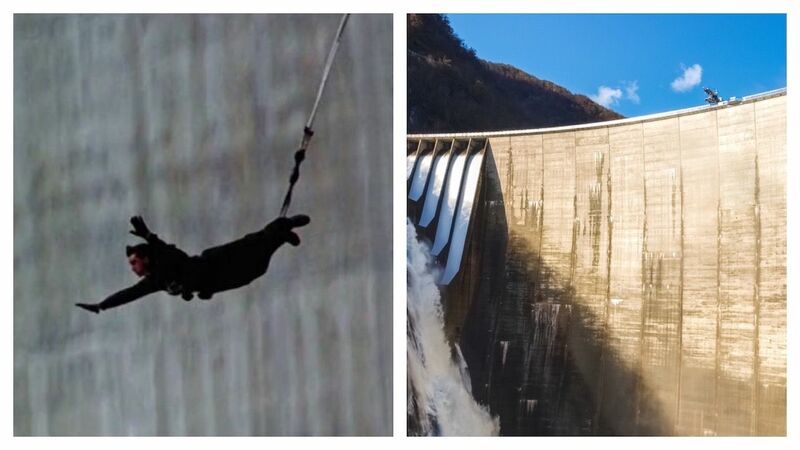 In what is widely considered one of the most epic stunts of all time, Pierce Brosnan’s Bond dives off the Contra Dam in Ticino, Switzerland, plummeting more than 700 feet toward the rocky basin below. The tallest commercial bungee jump when it opened (it has since been surpassed by the Macau Tower jump), this roughly eight-second free fall is possible to do anytime between April and October. You’ll need to make reservations well in advance, giving you plenty of time to rewatch GoldenEye and psych yourself up for the famous swan dive. 2. Skydive Point Break style. Fans of the 1991 cult classic will be thrilled to learn that they can recreate the iconic skydiving scenes, which helped launch the extreme sport into previously unseen levels of popularity. While the ever-quotable “speed star” scene was shot over Lake Powell, Utah, much of the footage was captured in Southern California. 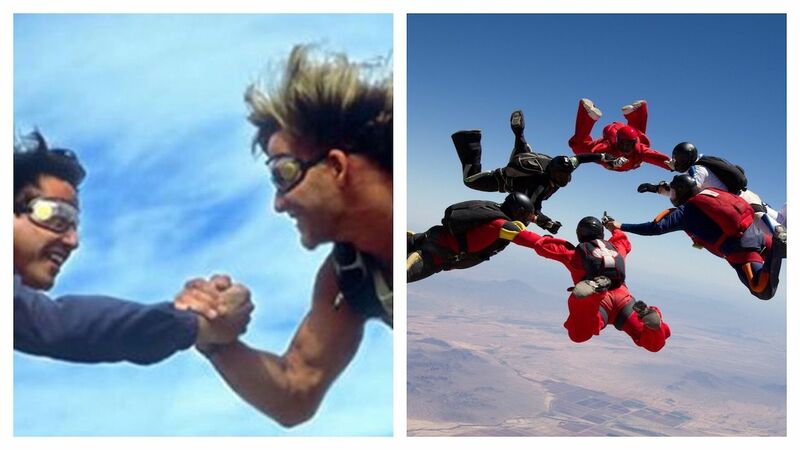 Patrick Swayze himself trained at Skydive Perris not far from LA, where you can have your very own Point Break moment. You’d need quite a few jumps under your belt to attempt the actual five-person formation with your own gang of adrenaline junkies, but Skydive Perris offers first-time tandem jumps (and packages for experienced jumpers) where you’ll fall from 12,500 feet. 3. 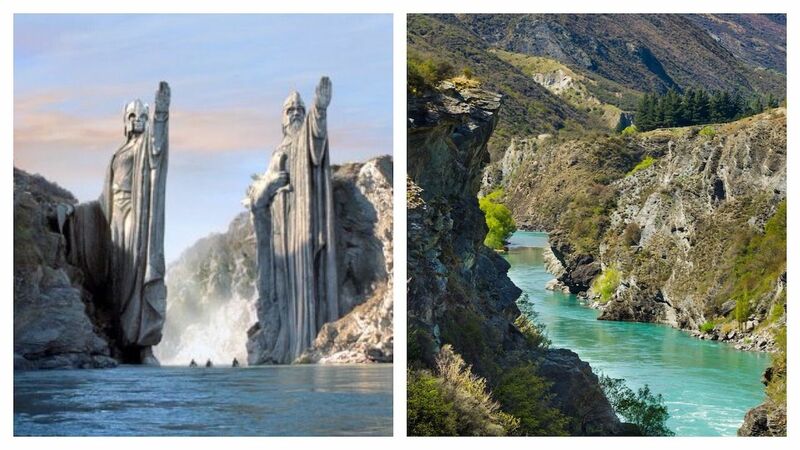 Whitewater raft down the Kawarau River like the Lord of the Rings crew. Middle Earth got a whole lot closer after Peter Jackson adapted Tolkien’s trilogy for the big screen. For a real-life adventure on the fictional River Anduin, all you have to do is pack your bags for Queenstown, New Zealand. Queenstown Rafting hosts epic whitewater rafting tours on the Kawarau River, which LOTR buffs will recognize as the site where Frodo and friends paddled towards the Gates of Argonath and Pillars of the Earth. Thrill seekers will be tickled to find formidable class three and four rapids here, and just about everyone can enjoy the fantastically beautiful scenery. 4. Channel your inner Ethan Hunt by rock climbing in Canyonlands. 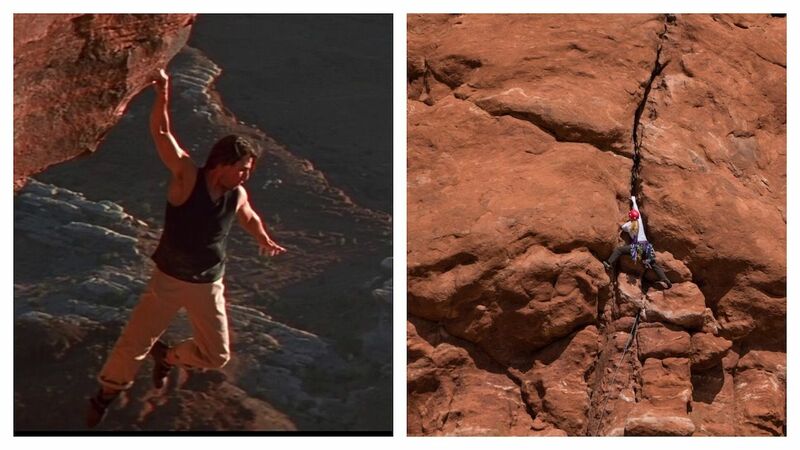 Mission: Impossible II opens with Tom Cruise maneuvering up a rock face at Dead Horse Point, Utah, in ways that seem to challenge physics itself. While his exact mission is, in fact, impossible as rock climbing is prohibited at Dead Horse Point, you can have a nearly identical adventure in neighboring Canyonlands National Park. Summit the towering sandstone peaks at Island in the Sky, and you’ll immediately recognize your surroundings from the intense opening scene. Plan your visit during spring or fall for the best weather conditions, but be careful: The routes can be dangerous, ranging from 5.5 to 5.12 in difficulty, making them fit for only the most experienced amateur action stars. 5. 4WD across the Sossusvlei like in Mad Max: Fury Road. 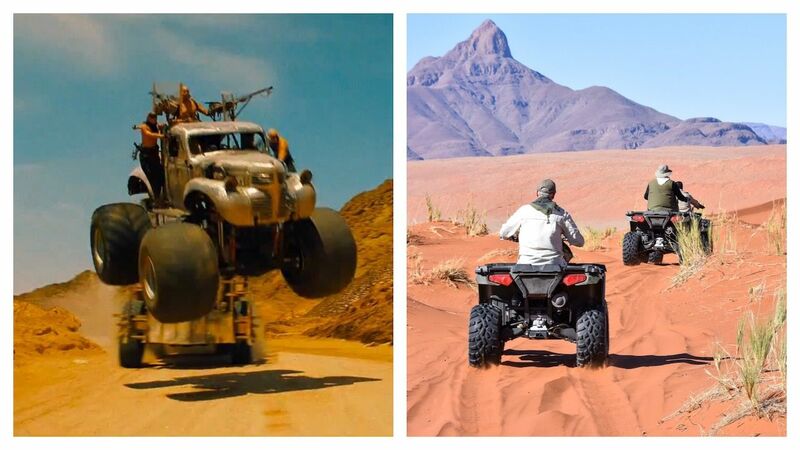 Although the original Mad Max trilogy was shot in Australia, location scouts brought the newest addition to the franchise all the way to Namibia. The fiery dunes and bone-dry salt and clay pans of the Sossusvlei were an obvious choice for the post-apocalyptic flick. To get in on the action, rent a 4WD vehicle and let your imagination run wild in otherworldly Namib-Naukluft National Park. You won’t find souped-up vehicles outfitted with flame-throwers like you saw in the film, but you’ll feel just as badass after circling the 550-foot Dune 45 past the park entrance at Sesriem. 6. Swing from the vines like Indiana Jones. In Raiders of the Lost Ark, Harrison Ford makes his debut as the fedora-wearing, whip-wielding professor of archaeology we all know and love. In one memorable sequence, Indy is seen being chased through the jungle by its indigenous inhabitants, ultimately making a daring exit by swinging from a vine into a river where his getaway plane awaits. 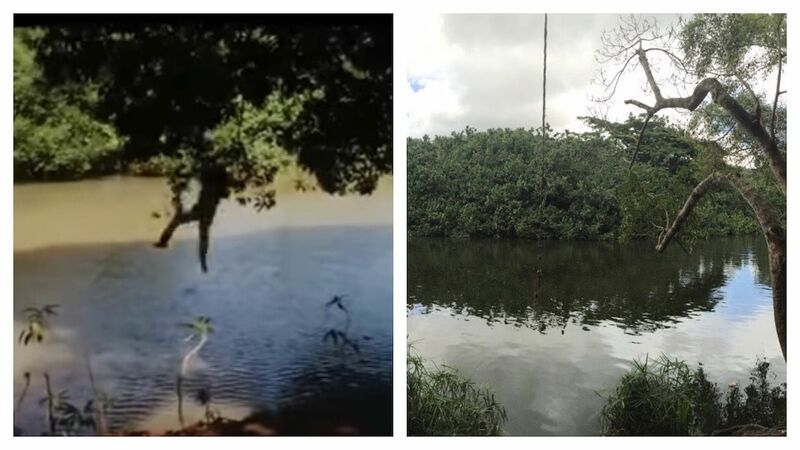 The scene was shot at the Huleia River in Kauai, Hawaii, where the rope swing remains to this day. Book an action-packed island tour with Kipu Ranch Adventures, and you’ll get the chance to do as Indy does and launch yourself from the riverbank on one of your epic stops. Getaway plane not included. 7. Trek to the monastery from Star Wars: The Force Awakens. 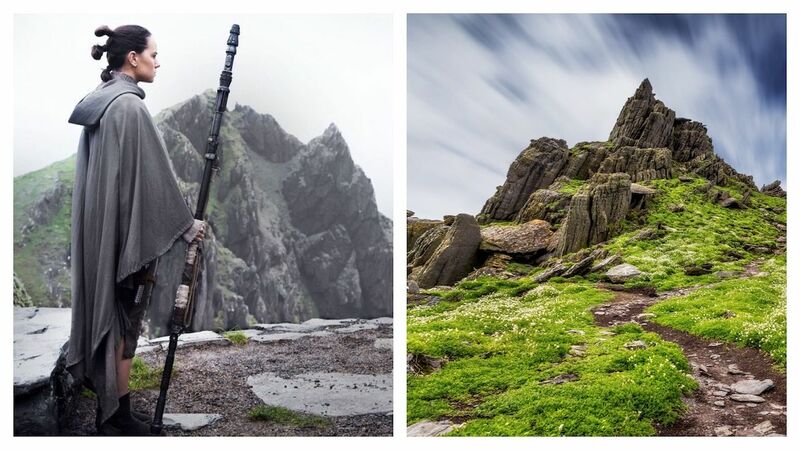 Not only is the monastery on Skellig Michael, located west of County Kerry in Ireland, a Jedi sanctuary from Episode VII of the Star Wars saga, but it’s also a UNESCO World Heritage site. Getting there might not sound like much of an adventure, but navigating the craggy isle is not for the faint of heart. Make sure both you and your hiking boots are in good shape before following in Rey and Luke’s footsteps by climbing the more than 600 rock-carved steps to the 6th-century monastery. Tours operate from mid-May to late-September, and you’ll need to plan ahead as no more than 180 people are allowed to set foot on cinematic Skellig Michael per day. 8. Stage an underwater fight scene with a friend (or foe) at Thunderball Grotto. 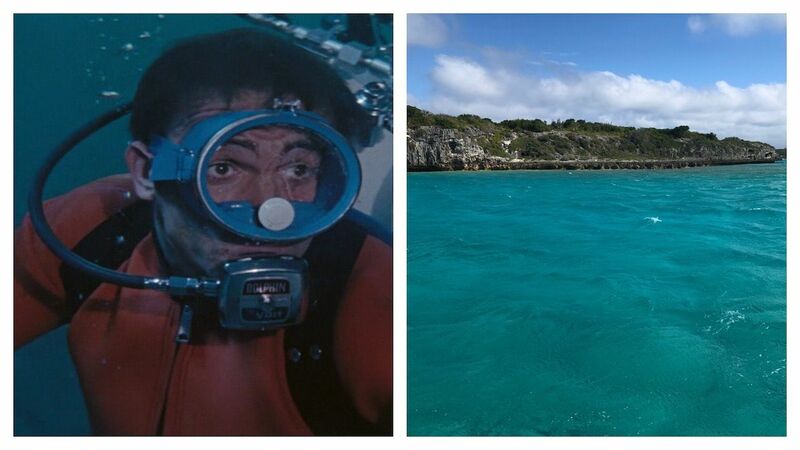 Scenes from not one but two Bond films were shot at Thunderball Grotto in the Bahamas: Never Say Never Again and the eponymous Thunderball. Located between the Big Major and Staniel Cays, this idyllic yet easy-to-miss grotto is teeming with aquatic wildlife, making it an excellent place to swim with the fishes — literally, of course. Come at low tide for an easy, snorkel-in entrance or to make a daring descent from the roughly 20-foot opening at the top. If you come at high tide, be sure to bring dive gear as you’ll need to enter underwater. Note that the current can get quite strong at Thunderball Grotto, so while you don’t need to be 007 levels of athletic to visit, you’ll need to be a strong swimmer.